Everyone knows you can’t put on a Rugby Tournament without the help of some awesome sponsors!! Here’s a list of the kind folks that will be helping to make Cherrybone 7s happen! Thanks to all of them for their generous support! We couldn’t do it without you!! With extensive background in the construction industry, ACS was well-positioned when they set out to professionalize the handy-man trade and offer it as a service. ACS anticipates the customer’s needs, satisfies them with quality work in a professional manner, and accomplishes them by the most cost effective means. This is achieved everyday by employing their own staff of highly skilled professional service technicians trained specifically to your industry. Each technician is supplied with fully stocked vehicles and state of the art equipment. Truly self-performing, ACS can afford the luxury of direct control of field crews and the ability to manage the schedule and all-the-while controlling costs. ACS is the reason the term “self-perform” is so frequently used in our industry. With combined experience surpassing 50 years ACS has the know-how, professionalism, expediency and technology to ensure that the job is done on-time, within budget, and with the utmost quality. For more on the services offered by ACS Commercial Services, call 1-800-776-5211. MC Athletics is dedicated to youth sports and pride themselves on a wide range of athletic training camps and coaching! Your athlete is driven to excel as a skilled player, student, and respectful young man in the community. Our mission is always about giving them something more. 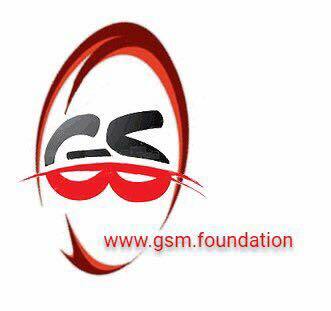 Join our family through one of our various camps or organizations offered. MC Athletics is home of the South County Pines and South County Ducks! We have training programs to keep your athlete excited and engaged in their skill set. We also work to improve your athlete’s overall performance through speed and agility workouts, conditioning, and more! For more information on how to get your athlete involved, check out the website at www.mc-athletics.com or email Sean Cash (COO) at sean@mc-athletics.com. The BB Law Group, led by WRFC’s own Bryan Bleibdrey, is a practice focused on assisting the needs of individuals, whether for routine legal services or during an emotionally challenging experience. Mr. Bleibdrey has the expertise to negotiate amicable resolutions combined with the passion to be a zealous advocate and skilled litigator. Bryan’s initial steps are, without exception, gaining an understanding of each individual client’s specific needs and circumstances. His work is custom tailored to each individual client. Bryan leads a firm that acts in accordance with the highest ethical standards, understands the individual concerns of a client, and is committed to providing exceptional service. If you’re in need of legal assistance, look no further than BB Law Group and call at (832) 534-2589. Team Callegari is a Rugby family and proud to support the Woodlands Rugby Football Club and the Woodlands Youth Rugby Club as 2 of their own have been playing for several years. They are a full service real estate firm specializing in buyers, sellers, and investors. Charles has used his fifteen years sales experience and his real estate knowledge to provide outstanding service and commitment to his clients. His enthusiastic personality and aggressive negotiation skills power an excellent sales technique second to none. Casey is a native Texan and has been a resident of Montgomery County for over 40 years. Casey helps her customers feel at ease making their crucial real estate decisions. To get the professionals at Team Callegari on your team when it comes to real estate, call (832) 768-7653. Dehydrated? Allergies killing you? Just feeling a little run down? Then The RevIVe Room has the Drip for you! The RevIVe Room specializes in intravenous (IV) nutrition. IV nutrition is a method of feeding vitamins, minerals, and other natural substances directly into a patient’s bloodstream. Bypassing the digestive system is the main advantage of IV nutrition. When substances are given orally they must be processed through the stomach and the intestines where they can be rendered less potent or just not absorbed fully. The RevIVe Room Drips deliver vitamins, minerals and amino acids directly to the body for maximum absorption. With ten different drips to choose from, they’re sure to have the right one to help you feel your best! The RevIVe Room is located behind Kroger at 8101 Kuykendahl Rd., Unit 300 in The Woodlands or you can reach them by phone at (832) 986-6824. It’s not always easy to find a barber that really makes you feel at home, but Rick’s does that and then some! Located on the edge of The Woodlands, don’t expect to pay Woodlands prices. A quality cut at an affordable price is what you can expect. If you like to be clean-shaven, try the old fashioned straight razor shave. Not ready to run right home when you get done with your haircut? No problem. Relax and have a beer! Got some little guys that need a trim, too? Rick and his crew will take great care of them, making them feeling comfortable whether it’s their first haircut or their 100th! You can reach Rick’s Barber Shop at (281) 789-4173 or stop in at 31315 FM 2978, Ste. 300 in Magnolia. Crane Masters, Incorporated (CMI) is a mobile crane rental company that has proudly serviced the Houston area for 20 years. They are a full service crane company that offers personal care to each of their clients with the experience needed to get your project done right. They pride themselves on being a team of experts in the crane and rigging fields. 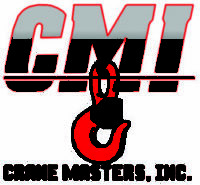 CMI has expertise in construction, mechanical company assistance, freight forwarding, chemical plants, refineries, and oil/gas industry and diligently seeks customer satisfaction no matter what the task. So look no further than Crane Masters, Inc. for all your crane and rigging needs! To find out more about how Crane Masters, Inc. can help you, call (713) 649-5552. Got a hankering for a tasty burger? Need a cheap, cold beer to wash it down? Then 3B’s Burgers & Beers has got you covered! Choose one of their signature burgers or create your own from their extensive list of fixing. Either way, their ½ pound burgers are gonna fill you up and put a smile on your face! Want fries with that? Of course you do! Don’t feel like a burger today? No problem, 3B’s has got your chicken fix, too. Get that chicken on a bun or as an order of wings. Either way, you’re walking out happy! What more could you want? How about quick, friendly service that makes you feel right at home? Yeah, they’ve got that, too! To get your grub on head over to 466 Rayford Rd., Ste. 107 in Spring, just East of I-45. Located in Conroe, TX Southern Star Brewing Company was founded in July 2007 and has the distinction of being the first craft brewery in Texas to offer canned beer! Beginning with their Pine Belt Pale Ale in 2008 and their Bombshell Blonde and Buried Hatchet Stout shortly thereafter, Southern Star has been turning out tasty brews ever since. Beyond their year-round releases, Southern Star has produced a number of seasonal beers to great acclaim. As proof of their overall success, Southern Star moved into a new, larger facility in 2015. Besides boasting more brewing capacity, the new facility allowed for an upgraded taproom, more private event space and an awesome outdoor area! Whether you venture up to Conroe to check out the taproom or simply grab a six-pack at the nearest store, you’ve got to check out Southern Star… you won’t be disappointed! The new brewery is conveniently located at 3525 N. Frazier Rd. in Conroe or give them a call at (936) 441-BREW for more information. 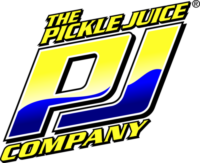 Originally Developed in 2001 with the dual purpose of replenishing electrolytes lost during strenuous exercise and addressing muscle cramps, The Pickle Juice Company has evolved to become one of the “best kept secrets” in the Athletic Trainer and Elite Athlete communities. The formula was tested and revised in the marketplace for the better part of a decade in order to develop the most effective formula possible to address the neurological elements that directly lead to muscle cramping as well as replenishing electrolytes that contribute to hydration. Extra Strength Pickle Juice shots were released to the marketplace in 2012 in order to provide a portable product for the individual endurance athlete as well as the Athletic Trainer’s kit. Spring of 2015 marked the opening of their state of the art manufacturing facility in Mesquite, TX, introduction of their 100% natural Pickle Juice Sport formula as well as International expansion plans. Their commitment to improving the performance of athletes is as strong as it ever has been as evidenced by the increase in elite events that Pickle Juice Sport is endorsing and attending. Papa’s Ice House is the official gathering spot for Woodlands Rugby Club’s post-match socials. Their generous food and beer nourish the tired rugby players back to health. Great waitstaff and the perfect indoor/outdoor setting for the team. You’ll find Papa’s at 314 Pruitt Rd. in Spring, TX!